The New Haven Register sports department is celebrating our 200th birthday by sharing 200 of the most interesting stories relating to sports in Greater New Haven over the past 200 years. Check back daily for historical updates. The New Haven Weissmen, under the direction of manager and future Baseball Hall of Fame player Charles “Chief” Bender, had just wrapped up their second successive Eastern League title in 1920 when the St. Louis Cardinals came to town for an in-season exhibition on Sept. 20. Games like this were common, given most cities’ prohibition of Sunday baseball in those days. New Haven native and sports promoter George Weiss, the team owner, had set the contest up under the strict conditions that St. Louis manager Branch Rickey play all of the uninjured Cardinal regulars. That included future Hall of Famer Rogers Hornsby, in the midst of winning the first of six successive National League batting titles (he won seven overall). 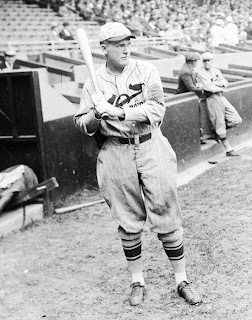 Hornsby could have rested — he missed both ends of a doubleheader to injury the day before at Boston — but he was in the lineup at New Haven, where he would pick up a few extra bucks by playing. Read Chip Malafronte's complete story. I have been with the Register since November, 1999 and previously worked at the Connecticut Post and Evening Sentinel. I have been sports editor at the Register since March, 2006.